Import vectors, images, and editable text, direct from any PDF document. Import, edit, trace, and convert PDF documents to .dwg, or export your .dwg drawings to PDF and share with others. It’s easy with BricsCAD. 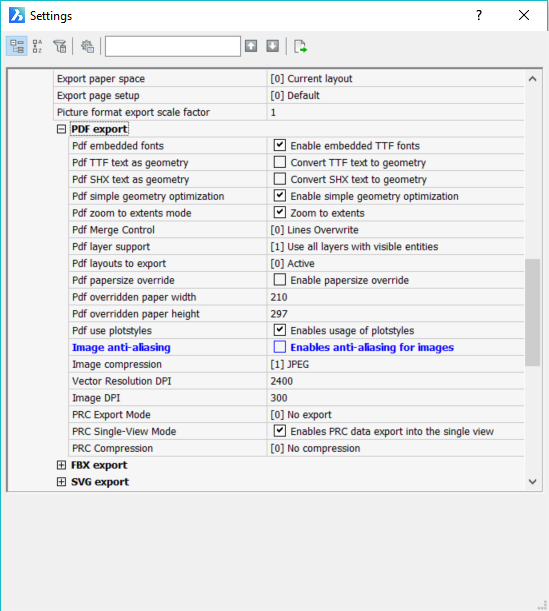 Use PDF documents as underlays in BricsCAD with the PDFATTACH command. A dialog box will appear that gives you various, standard options. One of the coolest options is the page number box. This makes attaching a single sheet from a multi-page document much simpler and saves faffing around exporting pages using a different program. Hint: If you have issues with the resolution of your import use the RE(REGEN) command to regenerate the current viewport. What’s pretty cool about using a PDF as an underlay is that it’s way more interactive than a raster file image. The snapping points remain active, which means you can use these to draft quickly. 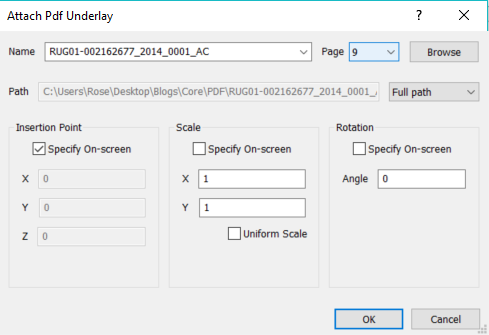 Use the PDFADJUST command to edit your PDF underlay. If the image is too bright you can change the contrast, fade it down, and even, convert the whole thing to monochrome. If you only need a portion of your PDF you can use PDFCLIP to crop the PDF down to size. You can also import your PDF directly. If you do this vector lines are automatically converted and, as such, are completely editable. It’s even possible to import fully editable text and set solid fills to automatically convert to hatches. Once imported, all these elements behave just as though they were created directly in .dwg! 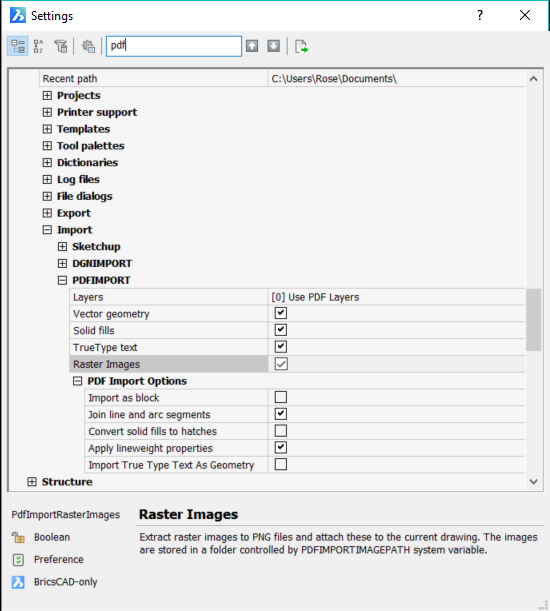 You can control how a PDF is imported in the Program options- Files – Import – PDFImport section fo the settings. If the PDF didn’t import the way you expected, it might be worth checking your settings. There are plenty of options, but maybe the most useful is the layers one. You can choose to keep the layers of the PDF (with the current names) . Import different elements; images, text, etc onto different layers  or import the whole PDF onto the current layer . When you’re finished simply save your document. .dwg is BricsCAD’s standard format. If you’re creating CAD drawings in .dwg, you might want to save your document as a PDF so that you can share it with other people who don’t have BricsCAD. Go to File – Export PDF. BricsCAD will automatically export the current view as a PDF, including the current Visual Style. This means that, if you currently have 2D wireframe selected, the lines are fully vector-editable in software such as Adobe Illustrator! You also have the option of converting your layout drawings to PDF using the same command. Read more about creating 2D views here. Disclaimer: All brand names and product names mentioned in this post are trademarks or service marks of their respective companies.